Gold has been a favored investment and wealth protection asset for many years. The price has remained stable for many years such that an ounce of gold could buy a tailored suit in London a hundred years ago and can still do so today. Most gold online trading brokers who offer this kind of asset on their platforms are considered to be reputable and reliable ones. Gold commodity price is normally based on the value listed on the COMEX future exchange. Gold is an excellent way to diversify an investment portfolio. Gold is the most favored asset used in investment among investors. In general investors tend to purchase gold as a way to expand risks or as they call it (Hedging), especially through future contracts and derivatives, the market of Gold is the pearl of speculation and volatility markets as is the case with other markets. Throughout history, gold has been used as a currency for buying and selling different kinds of goods, besides, it was the relative standard for currency in economic zones or countries. the Bretton Woods system linked the US dollar to gold after the second World War, and the price at the time was $ 35 per ounce. This system has survived to the time of the Watergate scandal of president Nixon in 1971. By that time, the US A had to suspend the direct conversion of the dollar to gold and the move to mandatory monetary system. The Swiss Franc was the last currency that broke away from gold in 2000. Gold is a highly volatile asset. A look at the trading charts will show you that there can be hundreds of pip movements in no time at all. It is important that online trading traders know gold commodity tips and understand the daily ranges and trends before they place their Put, Call, Boundary or Touch/No Touch trades. Gold commodity price is massively influenced by the demand for it. As equity markets become less attractive traders tend to seek safe havens, chief amongst them gold. Therefore, traders often look to economic sentiment in their assessment of the likely fluctuations in the value of gold. The top 10 gold producers in the world are China, Australia, United States, Russia, South Africa, Peru, Canada, Ghana, Indonesia and Uzbekistan. Production figures out of these countries will also affect the gold commodityprice, as they are the Supply in S&D. Like most commodities, the price of gold is influenced by supply and demand curve, including the speculative demand. However, and unlike most commodities, savings and sales play a greater role on prices more than consumption. Most of the extracted gold production is still available for use as in jewelry and gold alloys production in large volumes with a value greater than the weight and thus be able to return to the gold market at the right price. By the end of 2006, the volume of extracted gold was estimated at 158 000 tonnes. Given the huge amount of gold available above ground compared to the annual production, the price of gold is influenced mainly by changes in trends (demand), rather than changes in annual production (supply). According to the statistics of the annual World gold Council, the production of gold mines in the past few years , approached 2 500 tonnes, nearly 2,000 tons are used in the jewelry industry or industrial production / dental, and 500 tons to investors and ETFs trading in gold. At the same time gold has always been a very long term asset. There are times where an economic event will only affect the price for gold over a long period of time. The reason behind this is that the market has not yet adjusted to the demand for gold. It's important to have the right investment strategy when trading gold with a constant monitoring of the price after economic events. To trade gold you should also consider incorporating long term expiry times for your trades. It's hard to rely on stats and moving averages to predict price direction, with the limited movement of gold. You really have to base your trade on a fundamental supply and demand strategy, and careful timing. Historic charts show that gold commodity has been rising steadily since 1979, so gold is always going up. If you can time your trades to capitalize on gold's upward price movements, gold online trading can become very lucrative for you. The key is timing. Start by paying attention to gold prices and commodity news that refer to gold, and successful trades are sure to follow. Stay tuned for more of the latest tips coming your way. Some investors take refuge in buying shares of companies that operate in the fields of gold mining instead of buying gold itself and that's because it is expected that the shares value of these companies would rise alongside the continuing rise in the value of gold. However, this is not a rule, when it comes to mining, there are a lot of factors that must be taken into account as there a huge hindrances that lead to a rise in gold price and at the same time a decline in shares value of mining companies, such as floods that inundate the gold mines or administrative problems that afflict these companies, in addition to negative publicity, nationalization and theft as well as administrative corruption, all these factors affect the value of gold mining companies stocks. Gold online trading brokers can achieve massive profits trading on gold over very short time scales. Understanding the technical analysis can go a long way to facilitating profitable trade decisions. Gold is certainly an asset that forms part of most online trading (digital) options trading portfolios. 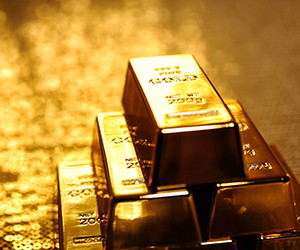 Looking for a great gold online trading brokers platform to trade this commodity? You will definitely learn how to trade gold with their help.